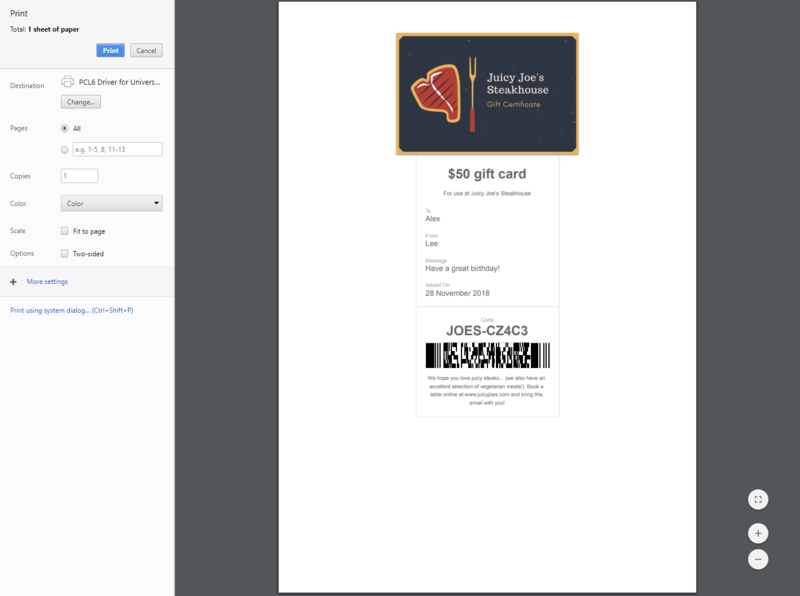 Can the gift cards be printed and given to recipients? Absolutely. 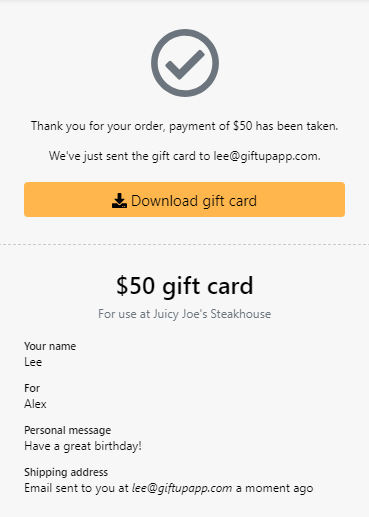 During checkout the purchaser will probably select to buy a gift card for someone else, but have it sent to their email address, rather that directly to the intended recipient's email address. The downloaded file is a printable PDF which can be printed on any device from iPhones, PC's to Macs etc..